Please join Sam Rice and Catherine Stewart for a full day of yoga asana (poses) and philosophic discussion. Enjoy all levels asana sessions with Sam designed to move the body and breath in between rich yogic philosophy discussion with Catherine. Is the ego truly an obstacle that needs to be overcome? Or could it also be an extraordinarily useful tool for the transformation of consciousness? The Non-Dual Kashmir Shaiva Tantric tradition brings forth the idea that all manifesting things are an expression of Consciousness itself. The concept of the human ego gets caught in misunderstanding between non-dualistic and dualistic traditions as the views on the functionality of the ego differ between the two. 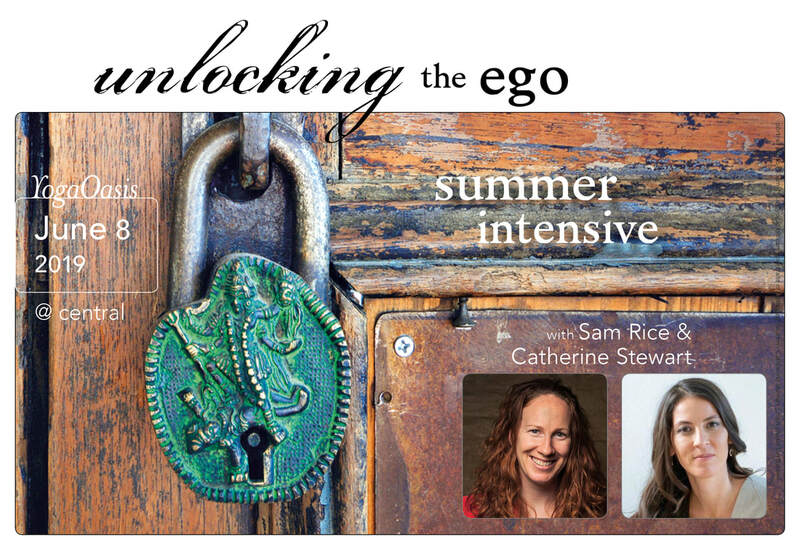 Join Catherine in unlocking a higher understanding and perspective of your ego as explained by these ancient traditions via the Non-Dual Shaiva teachings and it’s role in your spiritual path. Catherine Stewart has been studying the yogic tradition in varying forms since 2004 and engaged in the formal practice of Neelakantha Meditation and deep study of the Non-Dual Kashmir Shaiva Tantric tradition since 2009. Through her committed practice and dedication to deciphering these teachings Catherine’s understanding of this ancient body of knowledge allows her to speak of the non-dual philosophy from the direct immediacy of her own experience. Known for her humor, patience and unique perspective to be able to distill these teachings it is from this platform of immersion and experience that she supports others as they begin to open their awareness to the inherent possibility of wholeness inside themselves and find relevance in the ancient teachings of this tradition in their modern daily lives.